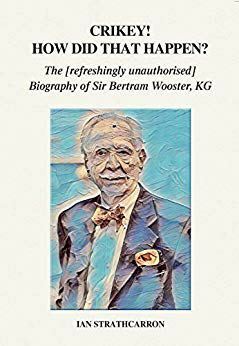 Up until now we have only known Bertie Wooster in his mid-twenties; this is his first whole life biography, told in ten short stories at seven year intervals. Thus we first meet Bertie aged seven, in 1907, at Malvern House prep school, then follow him to Eton aged fourteen and Oxford at twenty-one. We meet Jeeves when Bertie is twenty-eight and then they go their separate ways: Jeeves to the Royal Household at Buckingham Palace and Bertie to the French Riviera at its most glamorous, causing havoc with Somerset Maugham and Alfred Hitchcock, before being accidentally captured by the Italian fascists and spending Christmas Day 1942 with Mussolini. After WWII Bertie resumes his career in musical cabaret, headlining the Royal Variety Performance in 1949, before being pitched into the machinations of Hollywood at its prime in 1956. In 1963, Bertie, caught up in the zeitgeist, finds himself in the Himalayas with the Maharishi and then we say goodbye to a very much alive Sir Bertram in 1970 in Mustique, where he becomes involved in a murder mystery with many of the leading tax exiles and celebrities of the day. This had been a quite different book of the ones that I am used to, but you know that changes makes life more refreshing, don't you? That's what I thought after reading this book. It is not one story, there are ten stories telling us the ups and downs of the famous Bertie Wooster life. I have to say that I didn't know who was Bertie Wooster before reading the book, I thought it was an imaginary character, I suppose I am too young to have watched the series on tv and I am not sure I've ever seen the series on the Catalan tv...! But this is the good thing of reading a book that interests you and gets your curiosity, it makes you search for more and discover a new world. That's what happened to me with "Crikey! How Did That Happen?" It is not a biography like we are used to, the stories are short but impressive and shows us a deep look to the society during the war; making the reader wanting to know more about Bertie's adventures and life. And I think the author has totally entered to the Bertie's mind and shares with is the stories like you are part of it, so don't be surprised to laugh while you are reading this book. 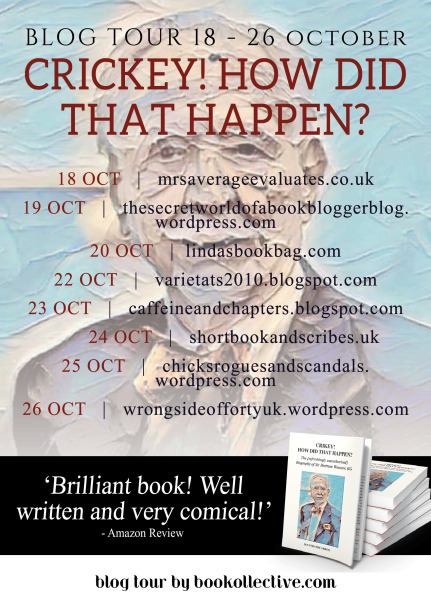 Ian Strathcarron is the author of Never Fear: Reliving the Life of Sir Francis Chichester, Joy Unconfined! : Lord Byron s Grand Tour Retoured, the Mark Twain travel trilogy Innocence and War, The Indian Equator and Mississippi Mayhem and the philosophy works Living with Life and Mysticism and Bliss. He is also Chairman of Unicorn Publishing Group and a mediator with the cultural property ADR service Art Resolve.